Play and work from the get-go with your favorite Google apps. Find thousands more in the Chrome Web Store -- many for free! 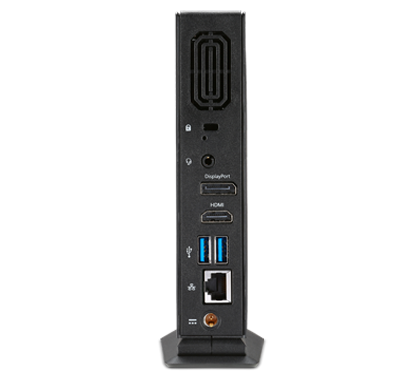 When you need to access an application or file on a Windows system, you can do that right from the Chromebox using Remote Desktop. It starts in seconds, so you can wait less and do more. 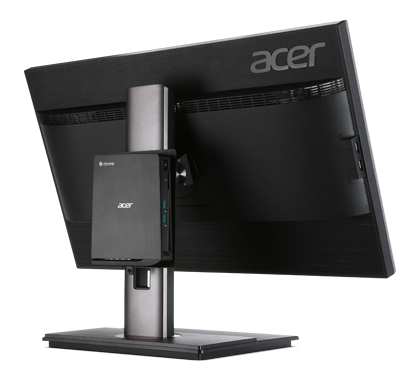 The Acer Chromebox sports a dual antenna design that provides a quicker, more reliable wireless connection for an overall smoother internet experience. 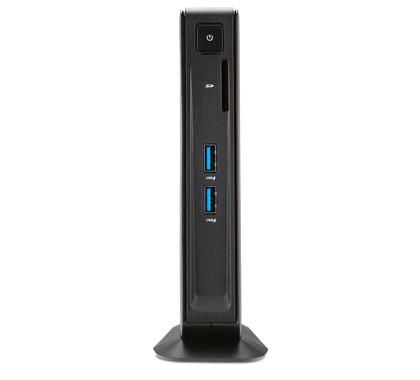 And, you can access your media on external drives super-fast via the USB 3.0 port. 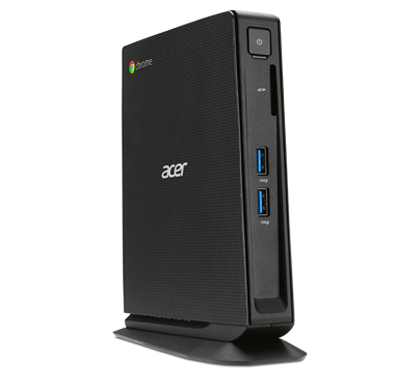 The Acer Chromebox has virus protection built-in, so it stays healthy while providing you with peace of mind. 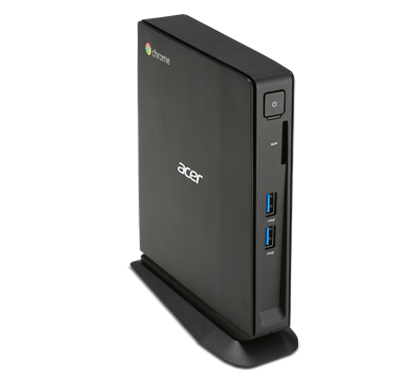 Equipped with TPM 1.2, the Acer Chromebox meets stringent security standards to ensure the integrity of your data. 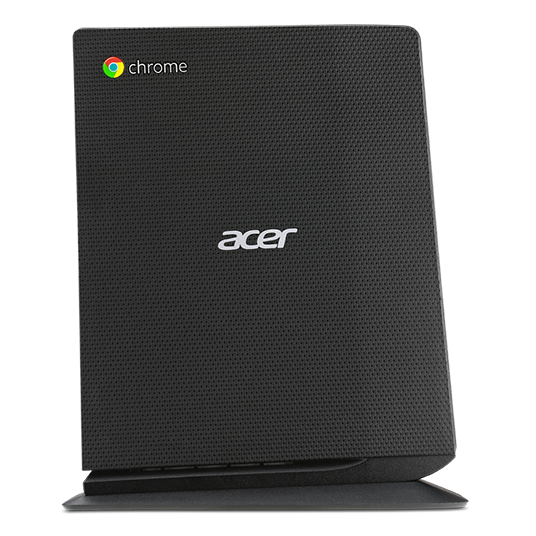 What's more, a Kensington lock slot protects this Chromebox from theft. 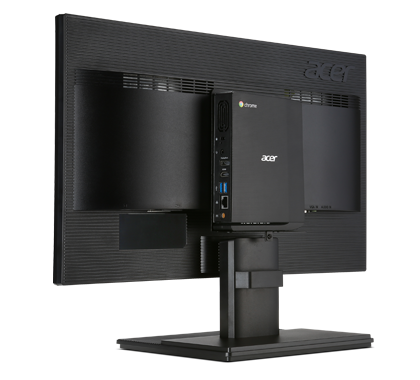 The Acer Chromebox uses a web-based management console that makes it easy to deploy as well as control users, devices and apps remotely. You won't be bothered by updates, as they're done automatically.